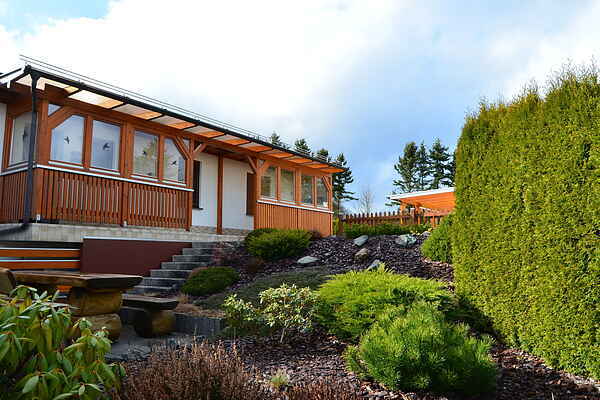 Visit the town of Medebach in the picturesque Sauerland region and spend your holiday in this newly renovated holiday home with modern furnishings. The accommodation is about 2 km from the town centre and 70 metres from the closest bus stop. It offers a view of the surrounding nature. The town centre offers a variety of shopping options as well as restaurants, bars and supermarkets. A bright and fully equipped holiday home with a cosy ambience is waiting for you. There is also a terrace and a balcony with a generously sized awning at your disposal, as well as an entrance sheltered from the wind. Sauerland is known for its many hiking trails, such as the Rothaarsteig. Active holidaymakers can explore the area's natural scenery and its healthy upland climate. Medebach offers visitors a wide range of leisure options: a children's water park, sauna facilities, tennis courts and bowling at Center Parcs, a high ropes course (Küstelberg - 10 min. ), fishing spots (10 min. ), snowshoeing, cross-country skiing, mountain biking and much more.